I love that these hand cooked vegetable chips were launched in such a delicious way! I mean, crisps are good on their own, but they can be used so creatively as Scott demonstrated on the day. Scott created a 3 course menu that showcased these crisps and how they can can be enjoyed more than just a side snack! Tyrells spicy root vegetable fritters with a tamarind sauce, Roasted lack of lamb, cardamom Tyrells vegetable crisp crust and spiced sweetcorn sauce, and chocolate Creme Brûlée, with Tyrells veg crisp and peanut butter cookie with raspberry jam. 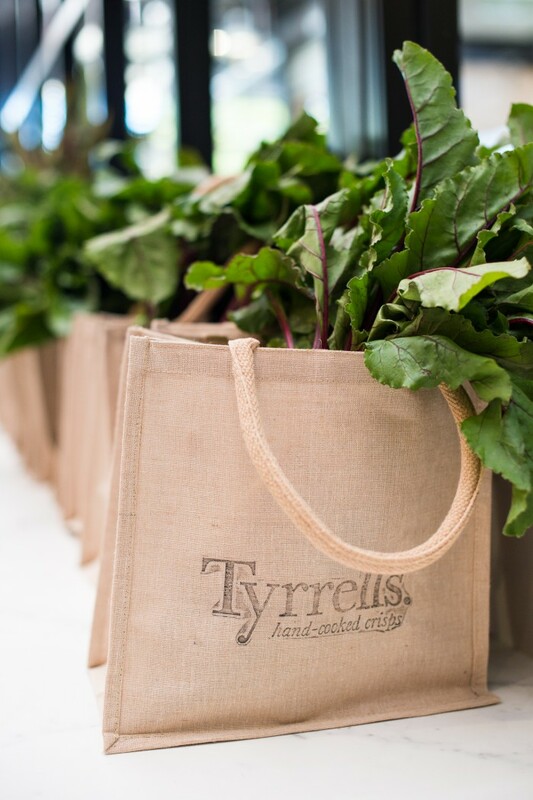 Tyrells crisps are made in small batches and I love that they are hand cooked and made in the Yarra Valley! In addition…they have no artificial preservatives and their ingredient list is short (literally just the vegetables, sunflower oil and sea salt) just the way I like it! If you want to get creative and try cooking with these crisps then here is a link for Tyrells free recipe e-book!